​not in itself ensure your garden is insect free. ​“There’s not enough research in this area to support that,” says Dr. Bodie Pennisi, an associate professor and extension landscape specialist at the University of Georgia’s Griffin campus. “The concentration of oils is not there to offer that kind of protection. ​One of the best things people can do to hold down mosquito populations, she advises, is to eliminate any standing water, which is where mosquitoes breed. 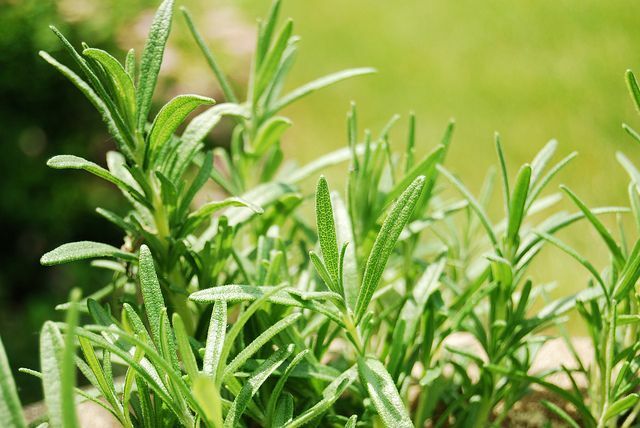 ​​For those who would like to give the natural route a try, we’ve described six easy-to-find herbs readily available at most nurseries that are said to repel mosquitoes and other annoying insects. The smell from fragrant herbs is the result of the distribution of tiny globules that contain oils. ​High temperatures, for example, can cause the globules to become volatile, evaporating the essential oils and turning them into vapors, Pennisi says. The many globules on the underside of rosemary leaves (seen at right) are one of the best examples of this. We’ve included our take on five ornamental flowers that can help keep plant-attacking insects at bay. Keeping your growing areas as insect free as possible will help your vegetable garden stay productive and your ornamental beds attractive. In addition, we’ve included a carnivorous plant that eats insects which you can also include in your eco-friendly insect barrier. Bay leaves: Repel flies. When you grow this plant, you won’t have to rely on the dried leaves from stores to add flavor to roasts and soups. Just pick the leaves as you need them. Four o’clocks: Attract but poison Japanese beetle. Repels house flies and mosquitoes. Plant basil in containers by your house doors and in outdoor areas where you like to relax or entertain. Basil is delicious in salads, in many pork and chicken recipes and with a variety of soups. Basil also improves the flavors of certain vegetables, include tomatoes, peppers and asparagus. 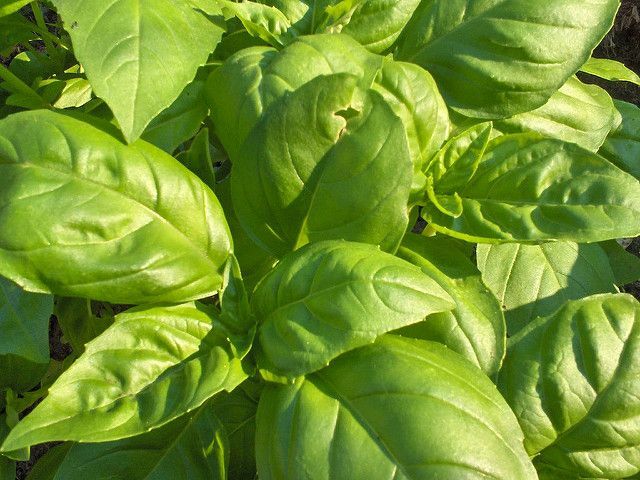 You also can use fresh basil to make an insect repellent spray. ​A simple recipe calls for pouring 4 ounces of boiling water into a container holding 4 to 6 ounces of clean, fresh basil leaves (stems can be attached), letting the leaves steep for several hours, removing the leaves and squeezing all of the leaves’ moisture into the mixture. Then thoroughly mix 4 ounces of (cheap!) vodka with the basil-water mixture. Store in the refrigerator and apply as a spray when going outdoors. Be sure to keep the spray away from your eyes, nose and mouth. Repels moths, fleas, flies and mosquitoes. 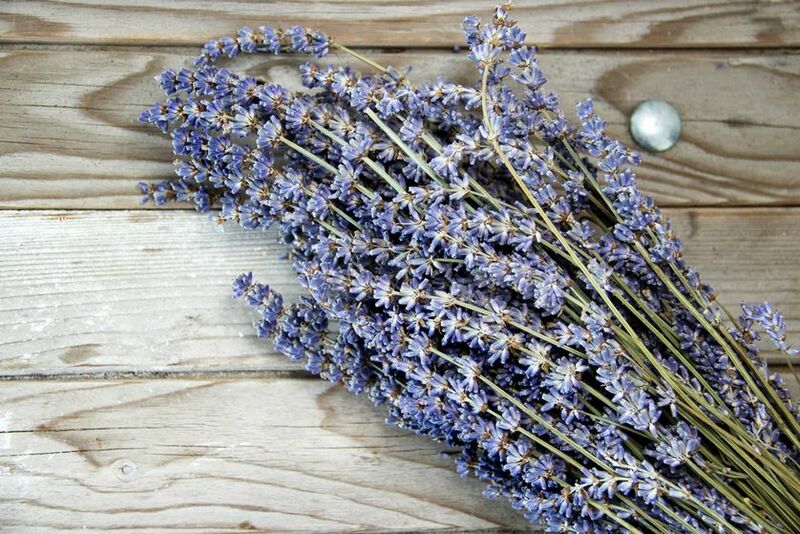 Lavender has been used for centuries to add a pleasantly sweet fragrance to homes and clothes drawers. 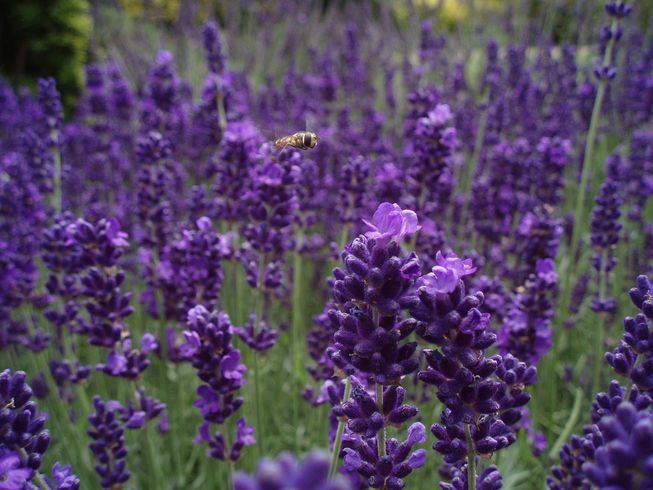 Although people love the smell of lavender, mosquitoes, flies and other unwanted insects hate it. Place tied bouquets in your home to help keep flies outdoors. Plant it in sunny areas of the garden or near entryways to your house to help keep those areas pest free. You can also use oil extracted from the flowers as a mosquito repellent you can apply to exposed skin when going into the garden or patio. The Everything Lavender website has a guide for extracting the oil and making a lavender-infused body oil. Added benefits are that lavender oil nourishes the skin and has a calming effect that induces sleep. Repels mosquitoes. You’ve no doubt seen citronella candles in stores during the summer and read how citronella will keep mosquitoes away. 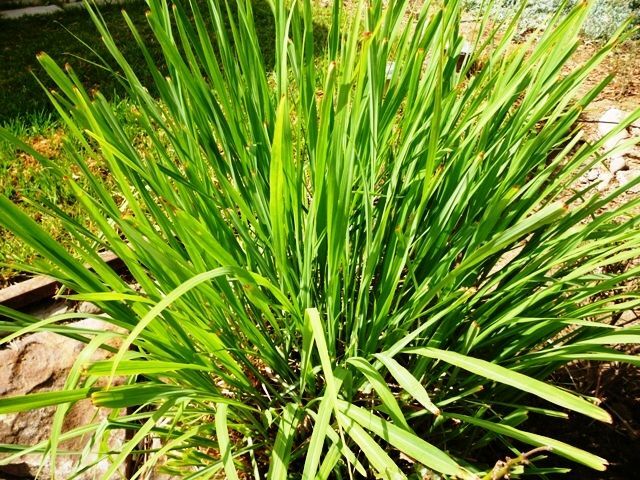 Citronella is a natural oil found in lemongrass, an ornamental that can grow up to 4 feet tall and 3 feet wide in one season. This grass with wonderful culinary uses is hardy only in South Florida (Zone 10), so almost everyone will have to grow it as an annual. It does well in a pot or in the ground in a sunny, well-drained location. Use its fragrant, narrow leaves in chicken and pork dishes and to flavor soups and salad dressing. Many Asian recipes call for lemongrass. Repels mosquitoes. 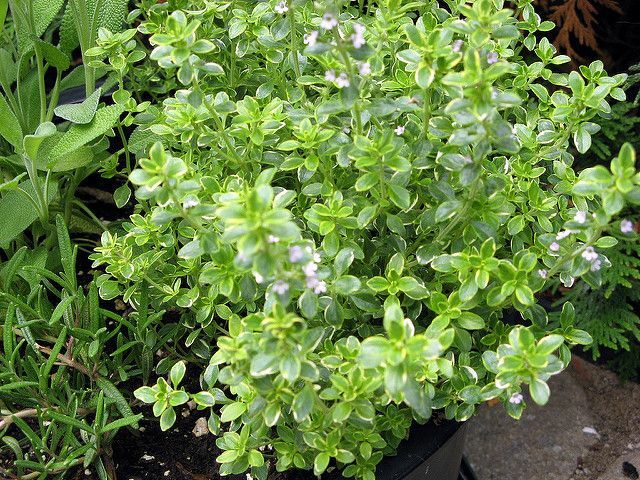 This hardy herb can adapt to dry or rocky, shallow soil and will thrive in your herb garden, a rock garden or a front border as long as these are in sunny locations. The plant itself will not repel pesky mosquitoes. To release its chemicals, you must first bruise the leaves. To do this, simply cut off a few stems and rub them between your hands. Before you do that, though, it’s advisable to make sure the plant’s natural properties will not adversely affect you. Determine your tolerance by rubbing crushed leaves on a small area on your forearm for several days. Repels mosquitoes. Mint is best grown in pots rather than the ground because it spreads aggressively. Once established in the garden, it can be difficult to remove. Cuttings of mint in mulch can help broccoli, cabbage and turnips. 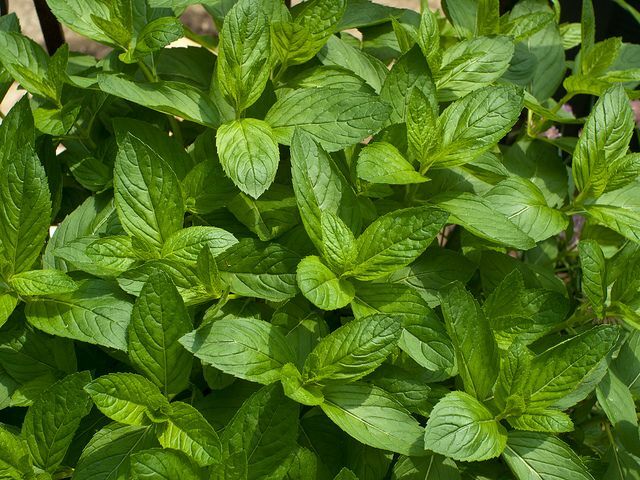 The leaves are commonly used to flavor minty iced tea. The aromatic properties found in the leaves are also present in the stems and flowers. With a little work, the plant’s aromatic oils can be extracted and combined with apple cider vinegar and cheap vodka (or witch hazel) to make a mosquito repellent. Containers of mint strategically placed in the garden or on the patio will help keep nearby plants insect free. Repels mosquitoes and a variety of insects harmful to vegetable plants. Rosemary is available in various forms. Plants can be grown in containers on a patio and shaped into ornamental pyramids, grown in herb gardens or planted in landscaped beds, where some varieties can grow quite large. Rosemary’s oils are as delicious to home cooks who use herbs as they are unpleasant to many insects. ​The plant itself and its cuttings are effective repellents. You can make a simple repellent spray by boiling 1 quart of dried rosemary in a quart of water for 20 to 30 minutes and then straining the liquid into a container at least a half-gallon in size that contains a quart of cool water. Put a cap on the combined liquid and store it in the refrigerator. Add the repellent to small squirt bottles as needed when going outdoors. Discard the remaining repellent in the refrigerator when it no longer has a strong telltale smell of rosemary. 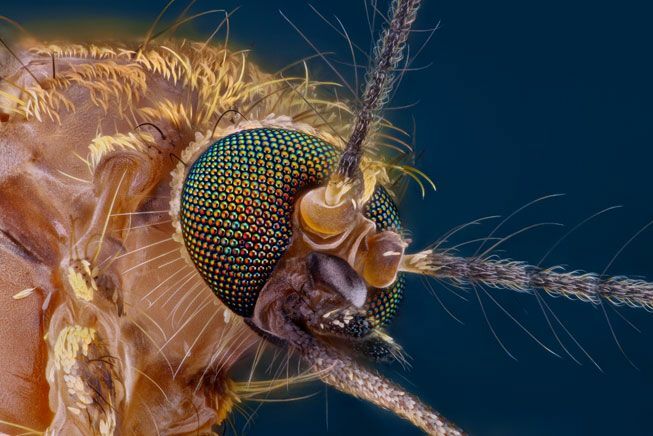 Sure, we all know they vex and annoy, but there's much more to learn about the tiny flying members of the family Culicidae. ​Plants in the Allium family, such as the dramatic Allium giganteum whose flower heads adorn stalks up to 6 feet tall, are regarded as a broad-spectrum natural insecticide. They repel numerous insects that plague vegetable gardens, including slugs, aphids, carrot flies and cabbage worms. ​Plants that will benefit from the proximity of alliums include tomatoes, peppers, potatoes, cabbage, broccoli, kohlrabi and carrots. They also will keep aphids off rose bushes. 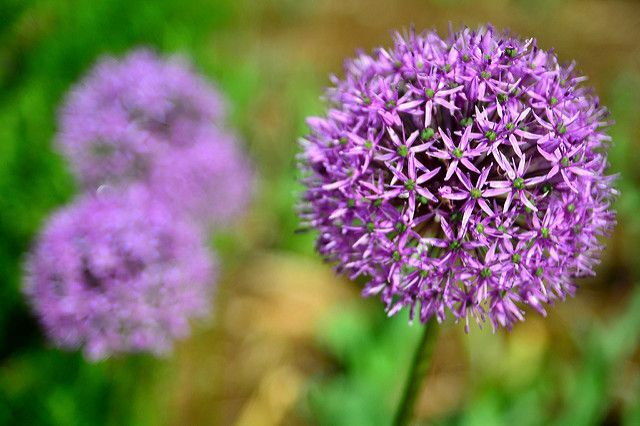 Alliums include small-growing herbs such as chives and garlic chives, leeks and shallots. Repel roaches, ants, Japanese beetles, ticks, silverfish, lice, fleas, bedbugs, spider mites, harlequin bugs and root-knot nematodes. The ingredient in chrysanthemums that makes them so effective as an insect-repelling companion plant is pyrethrum. Because pyrethrums can kill flying and jumping insects, they are used in America’s most commonly available home and garden insecticide and are frequently used in indoor sprays, pet shampoos and aerosol bombs. ​Although chrysanthemum flowers can be used to make an insecticidal spray, pyrethrum can be carcinogenic to humans and care should be taken in using them in this form. Make sure you know the risks (PDF). 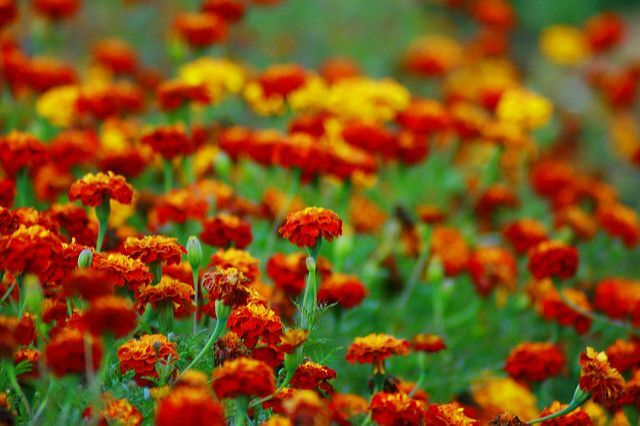 The scent from various types of marigolds repels aphids, mosquitoes and even rabbits. The roots of marigolds are well-known among farmers to repel nematodes, though those qualities require a year to take effect. Grow marigolds as an annual in most parts of the country, mixed in along the border of your flower beds or interspersed throughout your vegetable garden as they can also spur on the growth of certain plants, especially roses. ​Although marigolds are easy to grow in sunny locations, they can fall victim to gray mold, several types of leaf spot, powdery mildew, damping off and root rot. Repel whiteflies, squash bugs, aphids, many beetles and cabbage loopers. Nasturtiums could be considered the poster child for companion planting, which is growing a variety of plants close to one another for the benefits each brings to the others. Nasturtiums release an airborne chemical that repels predacious insects, protecting not just the nasturtium but other plants in the grouping. 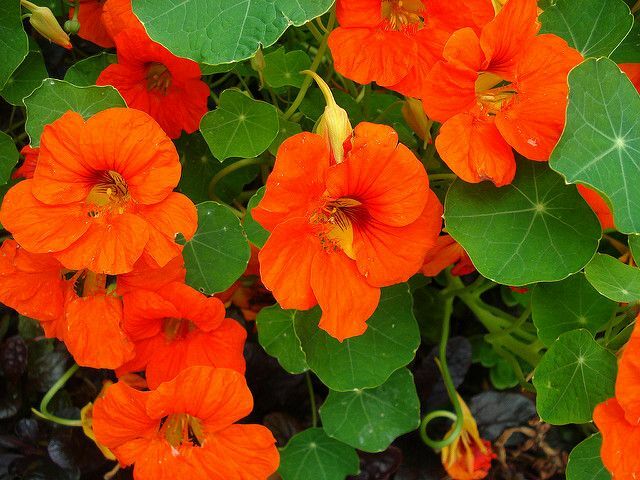 ​Because many of the insects nasturtiums repel favor vegetables — tomatoes, cucumbers, kale, kohlrabi, collards, broccoli, cabbage and radishes — nasturtiums are an idea choice for planting along the edges of vegetable gardens. Fortunately, nasturtiums do not repel the all-important pollinator — the bumblebee. Repel aphids, tomato hornworms, asparagus beetles, leafhoppers and squash bugs. 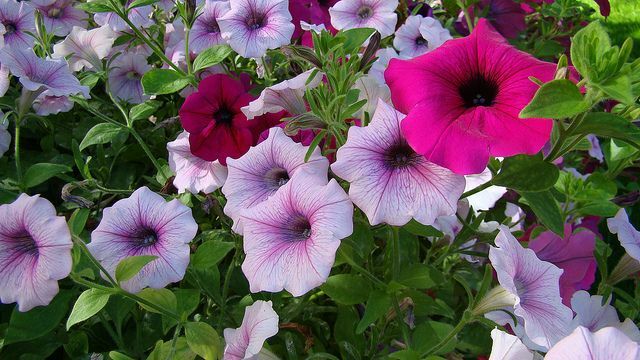 Some people think of petunias as nature’s pesticide. 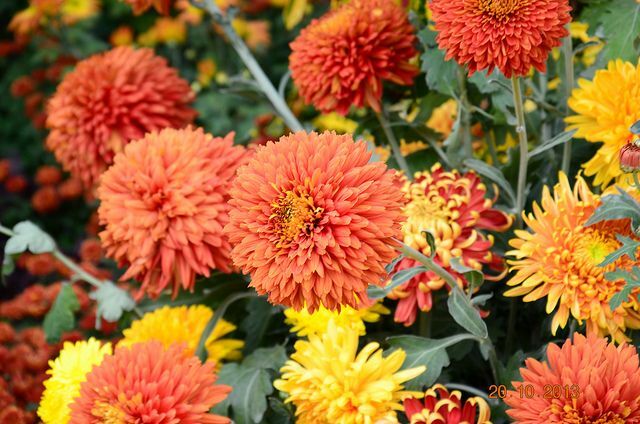 They are popular mostly because they are available in a variety of bright colors, require such minimal maintenance they are almost foolproof to grow and can be grown in garden beds, containers or hanging baskets. Plant them in sunny areas near vegetables and herbs such as beans, tomatoes, peppers and basil. Trap and ingest insects. Pitcher plants are the largest group of carnivorous plants. These exotic-looking plants lure insects into their “pitcher,” actually a specialized leaf, through a combination of nectar, fragrance and color. Once inside the pitcher, the insect finds itself on a slippery surface with downward-facing hairs. The insect then either slips or falls into a pool of water. Once in the water, it drowns or dies of exhaustion in trying to escape, which is impossible because of the downward-facing hairs. The plant then digests the insect. Insects that most often fall prey to North American pitcher plants are ants, flies, wasps, bees, beetles, slugs and snails. 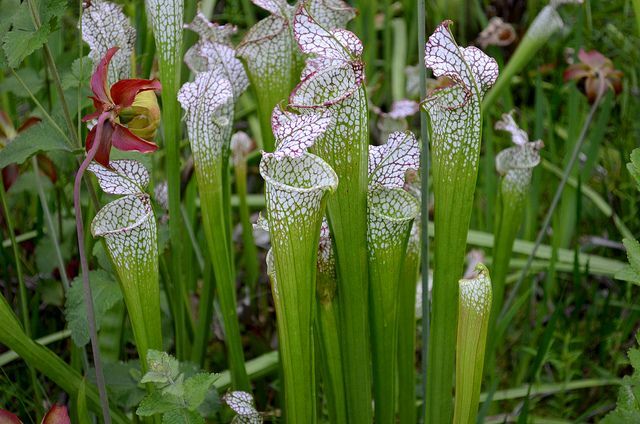 ​Pitcher plants, which grow in bogs in the wild, need a sunny area that stays moist, generally a difficult combination for home gardeners. Growing them in pots sitting in a saucer of water is easier. However, don’t keep the growing medium too wet. It just needs to be moist. **** Links lead to Essential Oils that works great as insect repellent.